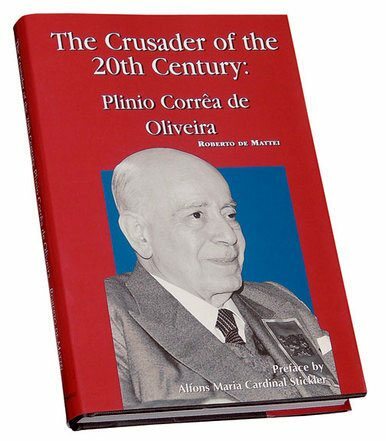 With these words taken from an address made by the Brazilian jurist and eminent conservative thinker Plinio Corrêa de Oliveira, Professor Roberto de Mattei commences his biography of one of the twentieth century’s most remarkable Catholic men of action. Dr. Corrêa de Oliveira’s life spanned the period from 1908 to 1995, and it was as a man of faith that he confronted the harrowing events of the past century. Prof. de Mattei’s interesting book does not claim to produce a complete biography of Dr. Corrêa de Oliveira nor does it claim to expound the collection of his doctrinal corpus, but merely proposes to offer the reader an introduction that will make it possible to formulate a judgement of this great personage, loved and opposed with the same passion. It must be added that a rapid perusal of this work clearly demonstrates that it was carried out in an objective and scientific spirit, through a scrupulous control of the documents, which include the nineteen books published by Plinio Corrêa de Oliveira and the more than 2,500 articles and essays he wrote in the journals O Legionario, Catolicismo as well as in Brazil’s largest daily, namely Folha de S.Paulo. Roberto de Mattei commences by describing Brazilian society at beginning of the twentieth century, and in particular the lifestyle and customs in Sao Paulo, where Corrêa de Oliveira was born on December 13, 1908. His father Dr. Joao Paulo Corrêa de Oliveira and his mother, Dona Lucilia Ribeiro dos Santos, both had distinguished lineages. In 1919, Plinio Corrêa de Oliveira entered the Jesuit Colegio Sao Luiz, where the traditional ruling class of Sao Paulo was educated. Precociously finishing his secondary studies in 1925, he enrolled in the Law School of the University of Sao Paulo, where he founded, together with a small group of young Marian Congregation members, the University Catholic Action (AUC). On graduating in law from that institution, Plinio Corrêa de Oliveira proposed and helped organise the Catholic Electoral League (LEC) in 1932, when elections were called for Brazil’s Constitutional Convention. With the LEC’s support, he was elected to the national Congress as the country’s youngest representative at the age of 24, and served as one of the leaders of the Catholic congressional bloc. Professor de Mattei goes on to describe how, at the end of his congressional term, Dr. Corrêa de Oliveira dedicated himself to university teaching, and was offered the Chair of the History of Civilization at the University College of the University of Sao Paulo Law School and, subsequently the chair of Modern and Contemporary History in the Pontifical Catholic University of Sao Paulo. In 1933, he was appointed editor of O Legionario, that rapidly became the semi-official weekly organ of the Archdiocese of Sao Paulo. Under his direction, this newspaper became renowned for its simultaneous active anti-Nazi and anti-communist stances. In 1940, the now Professor Corrêa de Oliveira was appointed President of the Archdiocesan Council of Catholic Action by the Archbishop of Sao Paulo, Cardinal Jose Gaspar de Afonseca e Silva. In 1943, in this capacity, he published his first book, In Defense of Catholic Action, a keen analysis of the first stages of the progressivist and leftist infiltration into the lay Catholic movement, as well as a denunciation of the deleterious action being exercised upon Brazil by the French philosopher Jacques Maritain. The work was endorsed and applauded by the Vatican, which sent Professor Corrêa de Oliveira an official letter of approbation in the name of Pope Pius XII in 1949, but not before he suffered a storm of calumnies, culminating with his removal from leadership positions among the Catholic laity, and, finally, with the loss of one of his main forums, O Legionario. Undeterred, he launched the cultural monthly Catolicismo in 1951. Between that year and 1959, with comprehensive essays in Catolicismo, he cast the doctrinal foundations of what was to be his masterpiece: Revolution and Counter-Revolution. Published in April, 1959, Revolution and Counter-Revolution proposes the concept of Christian civilization as a remedy for contemporary political, social and moral ills, showing how medieval society conformed harmoniously to the natural order laid down by God Himself when He created the Universe. The work led to the establishment of Brazil’s first anti-communist civic organization of Catholic inspiration, namely the Brazilian Society for the Defense of Tradition, Family and Property (TFP), which became known nationally for its many public stands against socialist-inspired confiscatory “agrarian reforms” as well as against divorce and the corruption of morals in Brazil. Under his leadership, the Brazilian “TFP” — as it became known — collected 1.6 million signatures in a petition addressed to Pope Paul VI requesting measures against leftist infiltration in Catholic circles. With the so-called aggiornamento of the Catholic Church in the wake of the Second Vatican Council, Plinio Corrêa de Oliveira maintained his steadfastness in traditional Catholic doctrine and maintained a vigorous stance against the twin errors of socialism and communism. His counter-revolutionary ideals spread across Latin and North America as well as across Europe, and 23 national, albeit autonomous, TFP organizations came into existence. In 1981, he denounced French President Francois Mitterand’s platform of self-managing socialism in an expose carried in magazines and newspapers in 52 countries, with some 33.5 million copies circulating internationally. In 1990, Professor Corrêa de Oliveira inspired an international “Pro Lituania Libera” petition campaign demanding Lithuania’s independence from the then crumbling Soviet Bloc; 5.2 million signatures were delivered to Mikhail Gorbachev at the Kremlin that year. Five years later, on October 3, Plinio Corrêa de Oliveira surrendered his soul to God, comforted by a Papal Blessing. Prof. de Mattei vivdly describes these and several other events in Dr. Corrêa de Oliveira’s life, amply demonstrating that this Brazilian gentleman’s line of thought falls squarely within the school of those authors as Joseph de Maistre, Louis de Bonald, Juan Donoso Cortes and Henri Delassus. “Whether we like it or not” Professor Corrêa de Oliveira once wrote, “we are all writing our biography. And on the day of judgement the book will be opened and read.” The models of men such as Plinio Corrêa de Oliveira who wrote their own biographies in the “lived Christianity” of their existence can also contribute to direct our lives and our future. This is certainly the main fruit of Roberto de Mattei’s work dedicated to the life of Plinio Corrêa de Oliveira. 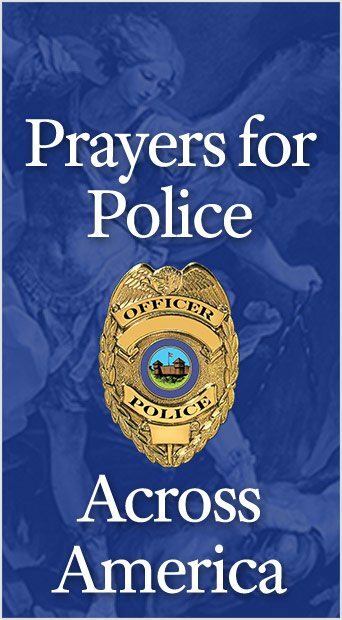 This entry was posted in TFP Recommends Books and tagged aggiornamento, agrarian, anti-communist, approbation, AUC, biography, Brazil, Brazilian, Catholic, Catholic Action, Catholic Electoral League, century, Christendom, Church, civilization, congressional, conservative, Council, Counter-revolution, Crusader, Defense, doctrinal, Documents, faithful, Family, Francois Mitterand, God, independence, Jacques Maritain, Law, Magisterium, Marian Congregation, Oliveira, organization, Pius, Plinio Corrêa de Oliveira, Pontifical, Pope, Pro Lituania Libera, Property, reform, revolution, Roberto de Mattei, Sacred, self-managing, Seminaries, socialism, TFP, Tradition, Vatican by Philip M. Beattie. Bookmark the permalink.